Welcome to patch 8.6, the next big patch in our little patch, big patch cycle. This time around, we're taking a look at Duskblade and how it affects its core users. We think it brings too much power, but we wanted to make sure we gave those champions additional power if we're stripping some from Duskblade. Then, we're introducing two new runes: one for champions who want to stay in fights for extended durations, and another for squishy champions who want a burst of early durability. Finally, while we're mostly happy with where they've ended up since the update, we're still tweaking some of the mage items. Base attack damage decreased. Q mana cost increased. Last patch, we gave Kai'Sa some reactive buffs to give players more room to learn her kit. Now that players have had time to understand her strengths and weaknesses - and how to play around them - we're pulling some of those props back out. There are other buffs shipping for Kai'Sa this patch, and we think those changes are a better direction overall for her strength profile. Attack damage growth and magic resist growth increased. W casts and applies vision reduction more quickly. Passive damage now continues scaling after level 11, until level 18. R ratio increased. Attack damage growth increased. Q ratio increased at later ranks. Q damage to targets beyond the first decreased. Landing multiple shurikens on the same target no longer deals reduced damage. R damage amplification increased at later ranks. Attack range increased. Passive and Q ability power ratios increased. Q range increased. W ability power ratio decreased. E cast time decreased. E movement speed increased. R radius increased. 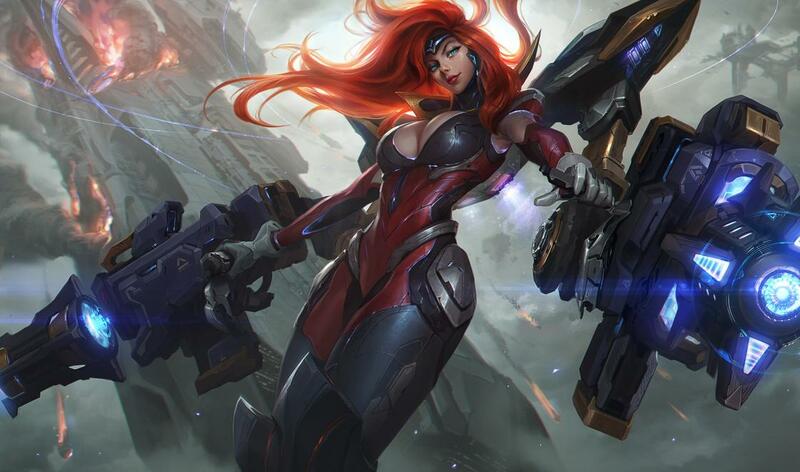 Kai'Sa's a new champion, and that means that players are still learning how she works—and in a lot of ways, so are we. One thing that really stands out is that? she does pretty well in the games where she gets ahead, but currently she's struggling pretty hard to ever get leads in the first place. The main culprit is her laning phase, where her low range makes it hard for her to get the good trades she needs, so we're starting by minorly buffing her range. We're also buffing the mobility her E gives, both by increasing the movement speed and decreasing the cast time, which should allow her a bit more positional freedom to choose when and where she fights. Her ability power ratios are also way too low to fulfill her flexible itemization fantasy, and with the Guinsoo's Rageblade changes below, we have some room to make those ratios a lot stronger. NOT A NERF Void Seeker deals the same amount of damage due to Second Skin's buffs above. Evolved Void Seeker deals more damage than before. newTHINKING AHEAD Killer Instinct's shield is now granted on-cast. Still lingers for 3 seconds after dash ends. Passive energy return increased at later levels. Q range increased. R base damage increased. Losing Tracker's Knife has taken away some of the consistency of Lee Sin's playmaking potential. We're looking to put some of that back into his kit. Rakan is currently struggling when paired with most marksmen. The obvious exception is Xayah—the two lovebirds are doing pretty well together. We're looking to make Rakan more impactful on his own without further increasing his strength alongside his partner. 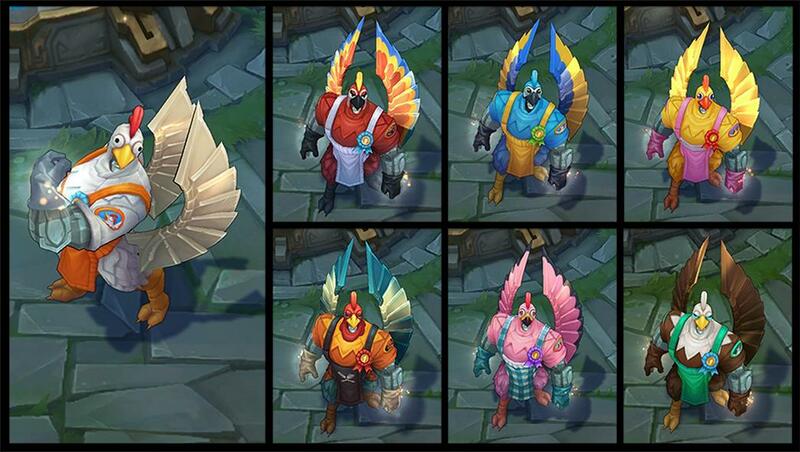 Xayah and Rakan's basic attacks no longer trigger feathers from each other's Deadly Plumage. As above, bringing Xayah and Rakan's strength together down. When you a support but you and your squad wanna go in. With the removal of Talisman of Ascension, the support item landscape was missing the "everybody in" item. Since we were remaking it anyway, we took a look at who we wanted picking up this item. Ultimately, we wanted to make sure that it wasn't super attractive to tanks (they already have Righteous Glory), but felt good on most other supports. Aura radius decreased; potency increased. When we moved ability power off of Abyssal Mask and onto Banshee's Veil, we hoped to cement Abyssal as less of a core mage item and more of a tank pickup to boost allied mages. However, the high range on its aura has made it a compelling damage option on mages that also provides defensive value intended for tanks. As a result, we're seeing a lot of mages pick it up as a "get me through mid lane with no interaction possible" item, without paying much of a hit to their late game damage. Shrinking the aura will sharpen the intended user base to champions who want to get up close and personal. Shield mana ratio decreased. Shield duration decreased. Seraph's Embrace's shield is providing too much safety for its purchasers. Slow is now magic damage instead of physical. Momentum generation tweaked. Dead Man's Plate is underperforming at the moment, and we're taking a pass at giving it some love. While we do so, we'd like to sharpen its identity as the item for fighters, who really shine when they get the opportunity to maneuver around a fight laying down damage. As such, we're going under the hood and tweaking the way DMP generates Momentum. If you're able to lock a target in place (hello Maokai/Nautilus) and prevent them from kiting you that much, you won't get as much damage and you're unlikely to get a lot of slows. 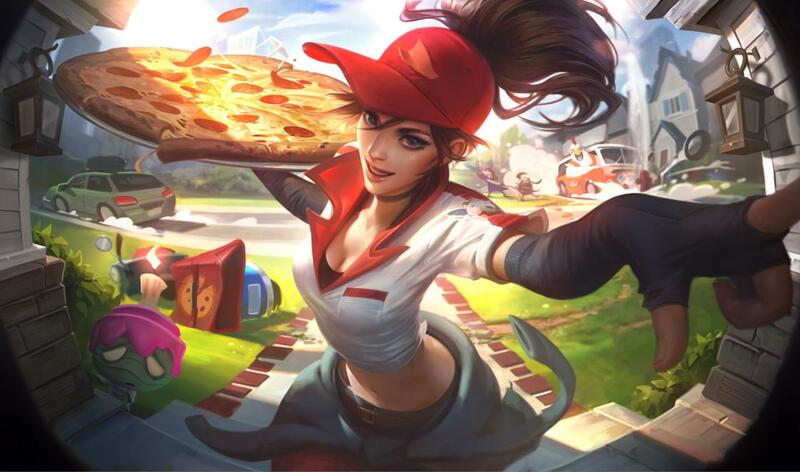 On the other hand, if you're darting around a fight (Irelia, Renekton) you'll feel the full impact of the passive. Hopefully, when fighters see this item, they'll think to themselves "yes.". When tanks see this item, they'll think to themselves "no." Cost decreased. Attack damage and ability power decreased. Base magic damage on-hit decreased; ratio added. Physical damage on-hit added. Stack bonuses now scale with stats from other sources. Guinsoo's Rageblade currently has two problems: It's only good on a select few champions, and on those champions it serves as an insane first item spike. We're hitting both problems by changing its statline and on-hits to scale directly with other stats. TL;DR, Guinsoo's shouldn't be as immediately powerful of a rush item, but it fits into a few more types of builds. This item is still a bit too weak. Energized proc damage decreased at higher levels. Lightning no longer deals bonus damage to minions. The combination of proc damage and wave clear is allowing any marksman to be their team's wave clear all on their own, making Statikk Shiv too dominant a pick over the other zeal items. We're taking this opportunity to match the damage of Rapid Firecannon to that of Statikk Shiv, to make it a more clear choice between extra range and extra wave clear. In general, defensive spells should have higher cooldowns than offensive spells. That is, if two opposing player uses Heal and Ignite in the same fight, there should be a window where the Ignite player has a summoner spell edge and can try and make another play. Currently, Heal's cooldown is probably a bit too low for players to take advantage of that disparity, so we're upping it. 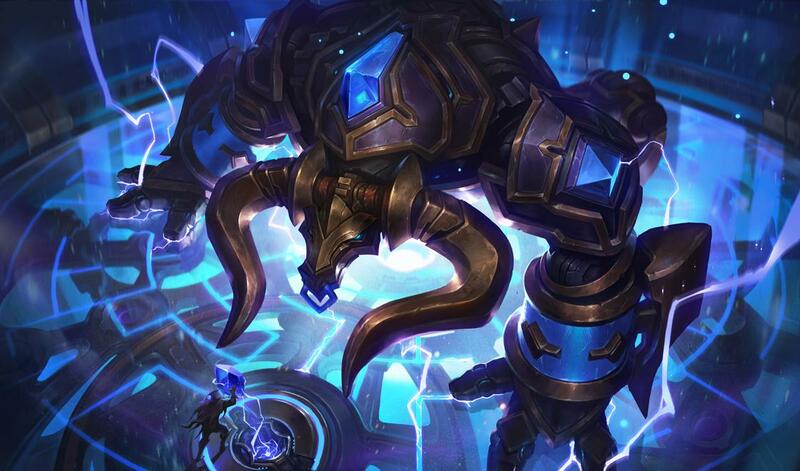 We wanted to introduce a keystone for champions who excel in long, drawn-out fights—especially melee champions. CHRYSALIS Start the game with an additional 60 health. When you get 4 takedowns, consume that health to gain an adaptive bonus of 9 attack damage or 15 ability power. Iron Skin and Mirror Shell in the Resistance row of the Resolve tree have been removed. Iron Skin and Mirror Shell weren't adding much to the runes landscape; they were largely just flat stats that didn't feel compelling to a lot of characters. Now that we've added Chrysalis (and Bone Plating two patches ago), we can remove Iron Skin/Mirror Shell. LOOK AT THIS STUFF Last patch we added a feature where we auto-swapped removed runes and put an indicator on the affected pages. This patch, we're adding an indicator to the specific rune so it's easier to see what has been auto-swapped. Bandit passive removed. Movement speed added to Ancient Coin line of items. Many other changes. 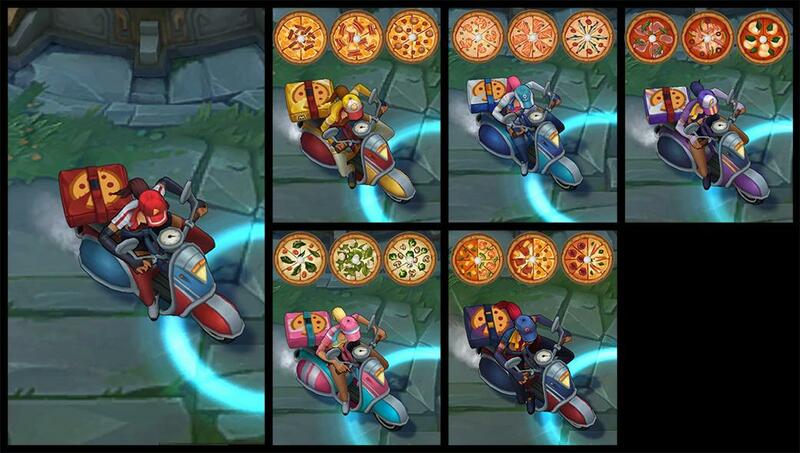 These are just the same changes these items have gone through on Summoner's Rift over the last 2 patches. 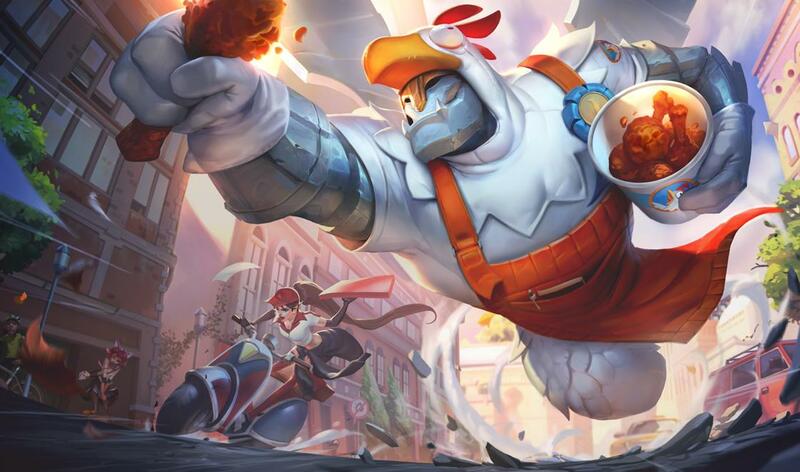 Get silly this season by playing the same champ as your teammates in this wacky and accelerated twist on Summoner's Rift. One For All springs back into action from 3/30/18 at 8:00 AM PT - 4/16/18 at 11:59 PM PT. Everyone votes for their choice during champ select. Champions with at least four votes get locked in. Each Nami can buff an ally with E - Tidecaller's Blessing at the same time, resulting in three SUPER CHARGED Nami basic attacks! Slows don't stack! The slows will still be put on the target, but only the strongest slow applies. That's it! Go forth and slam your opponents with Leap of Faith x 5, or maybe a Penta Umbral Trespass. After popping the hood on Honor, we're seeing that the path back from dishonor is a bit too harsh. So now it's less steep. There are no other changes to Honor. Later this patch, your party won't ignore your cries for help because they'll hear you in voice chat. Voice works for any party of two or more players. As soon as you join a friend's party you'll connect to voice chat automatically and remain connected for as many games as you play together. TALK ME THROUGH IT Your party connects to voice chat automatically right from the lobby. It's that easy. Tyrant Urf // Raise your Dongers! // Heeere's Poppy! // Draven Approves!